Web Html5 License: Free as long as unmodified. Do not resell. 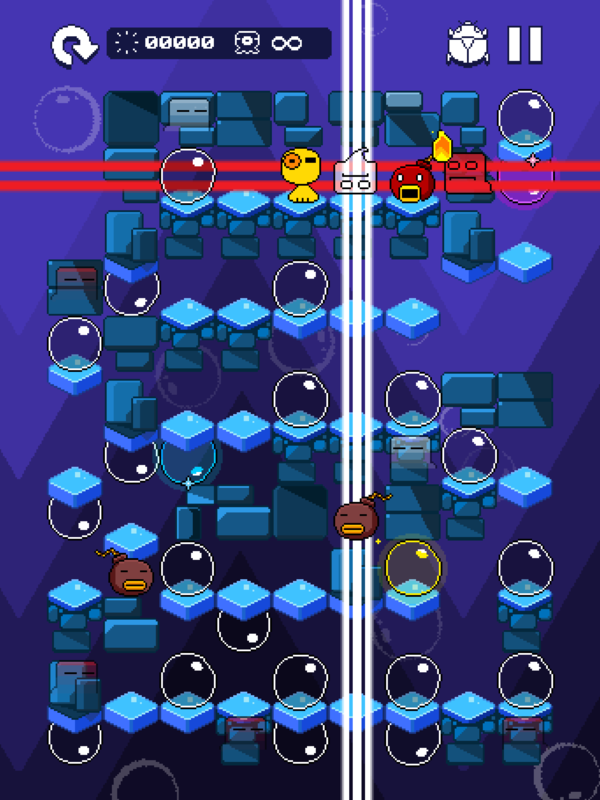 Tako Bubble is a turn-based puzzler. 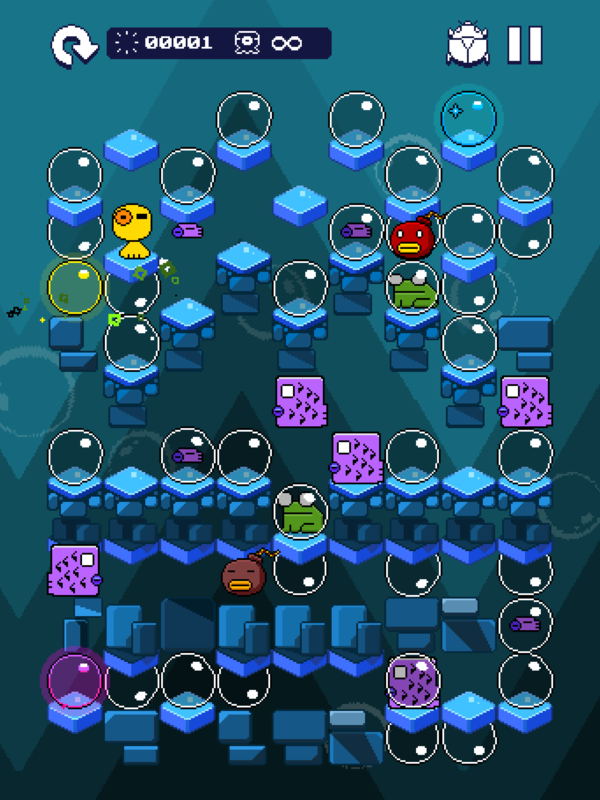 You play as Tako, a yellow octopus, to crawl through deep-ocean environments, defeat ferocious monsters, pop all the bubbles to get back your precious beetle gems. Octopus Tako's beetle collection was blown away by a magical swirl of bubbles! 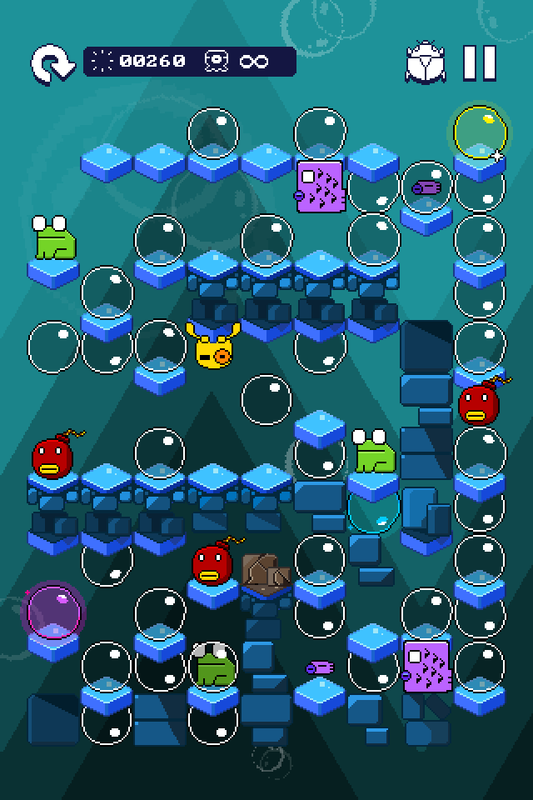 Could you help it pop all the bubbles and find them back? 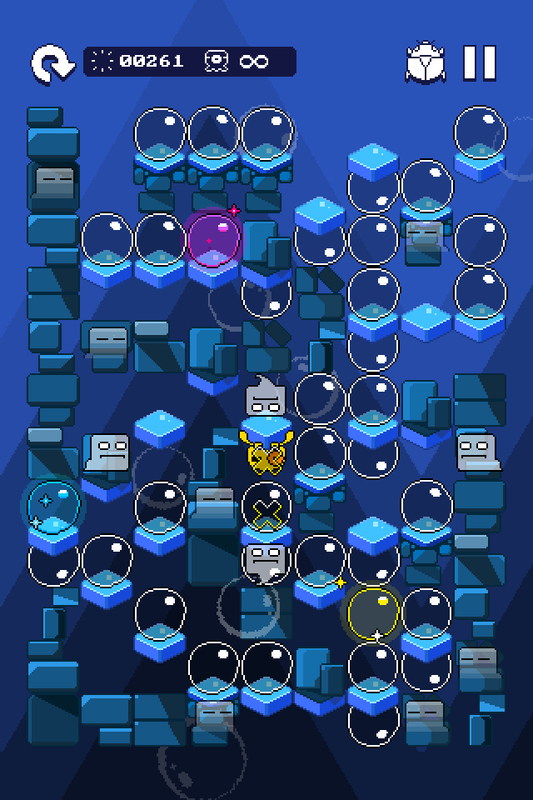 3 glittering, colored bubbles to pop to get past each level, easy! 10 types of creatures, read their move patterns to avoid being checkmated! 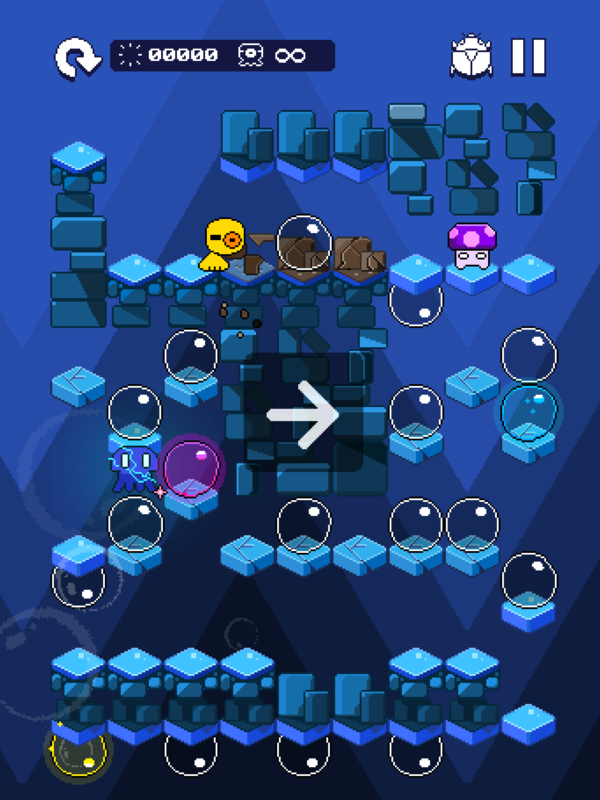 Tako Bubble is a simple, well executed and fun puzzle game. 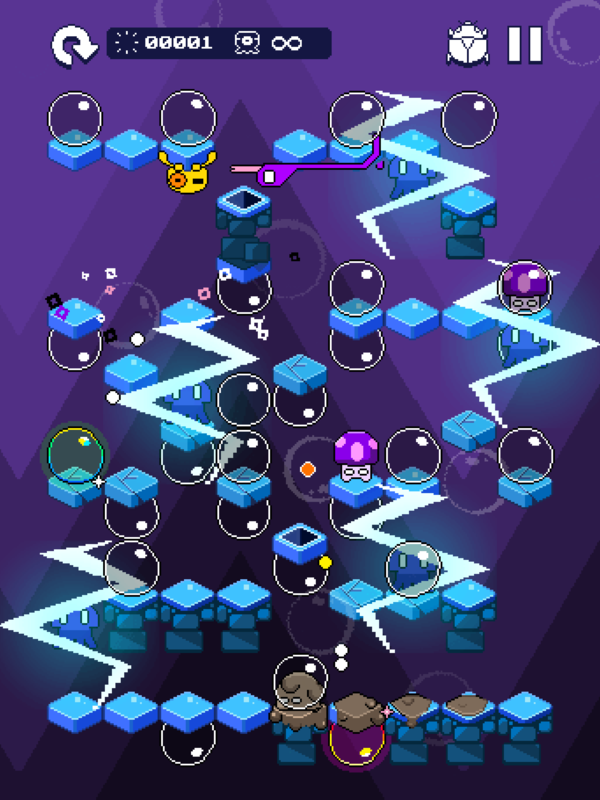 Tako Bubble is a simple, but elegant puzzler. 18 levels made specifically for web preview. 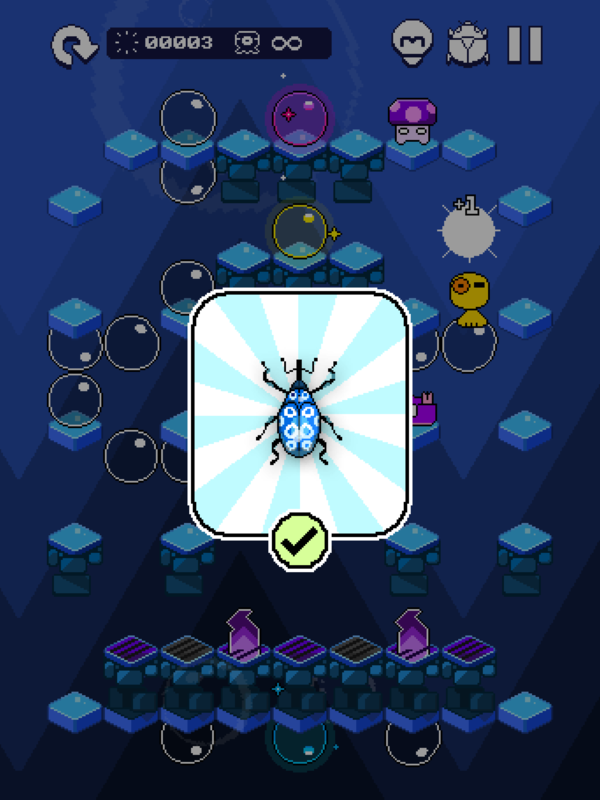 Mobile version contains 60 more levels with more creatures and traps. noice2d.com. Noice2D is Ally Sheng and Chang-hung Chiang, two casual gamers and pixelart lovers. More information on Noice2D, our logo & relevant media are available here.